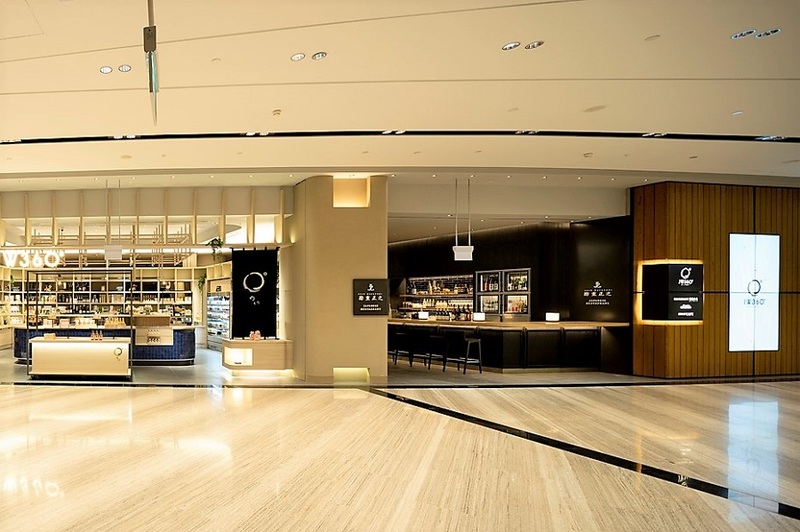 Jewel Changi Airport is now the hottest spot to visit in Singapore right now, and you can also have an experience of Japan there without stepping out of the country. 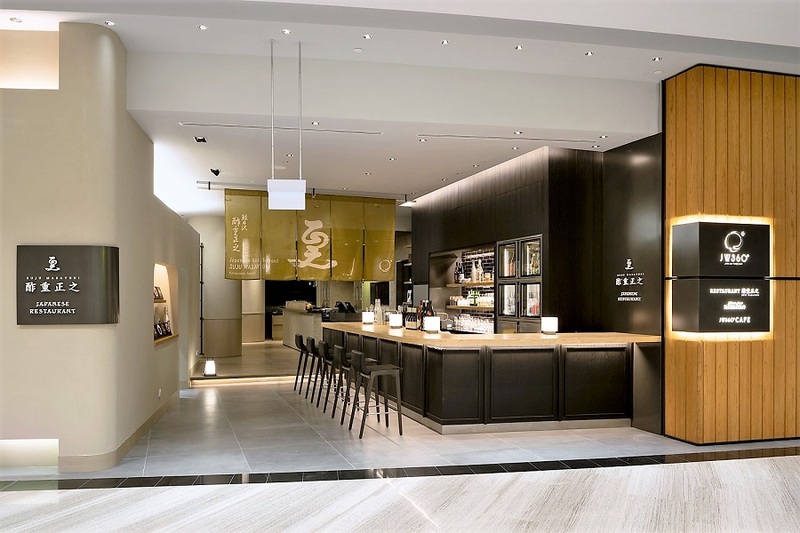 Stop by at JW360° (Japan Way Three Sixty) at Jewel Changi Airport – a gateway to Japan’s lifestyle and culture. 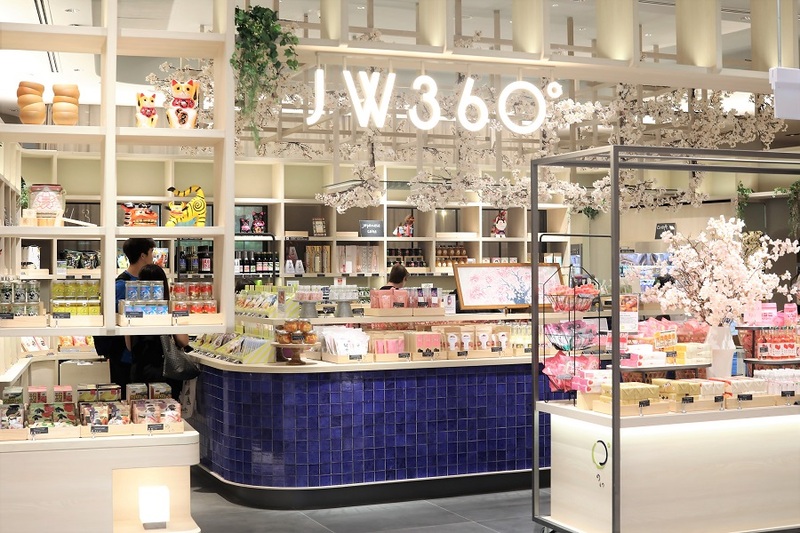 JW360° is a concept store consisting of three operating divisions – Restaurant, Café and Retail. The very thing you would notice there are sakura right at the main and side entrances, attracting a number of curious onlookers to strike a pose for photos. ”Is this real?”, too many people have asked. With the beautiful floral scent and falling petals, YES, those are REAL sakura. Reflecting Japanese modernity and minimalism, the 486-sqm immaculately designed space is a comfortable space to sit back, eat, drink, and shop the Japan way. 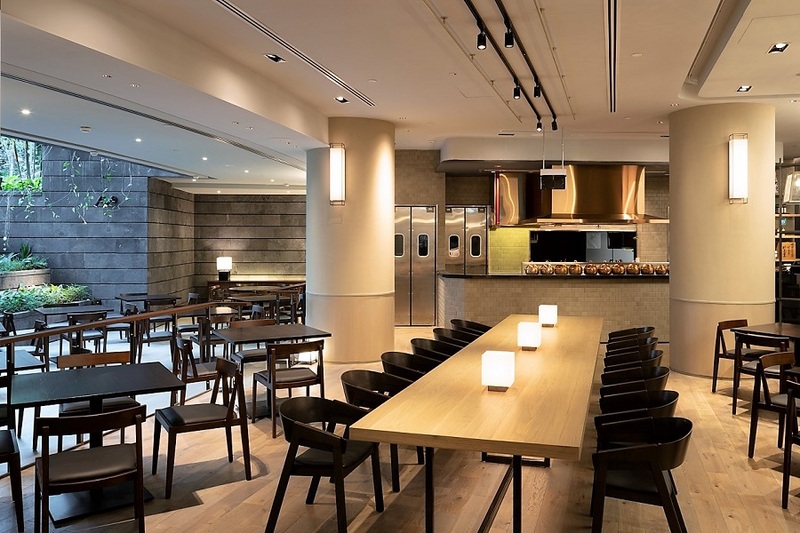 The 140-seater restaurant is operated by the JR East Group, which also runs Japan Rail Café at Tanjong Pagar Centre. 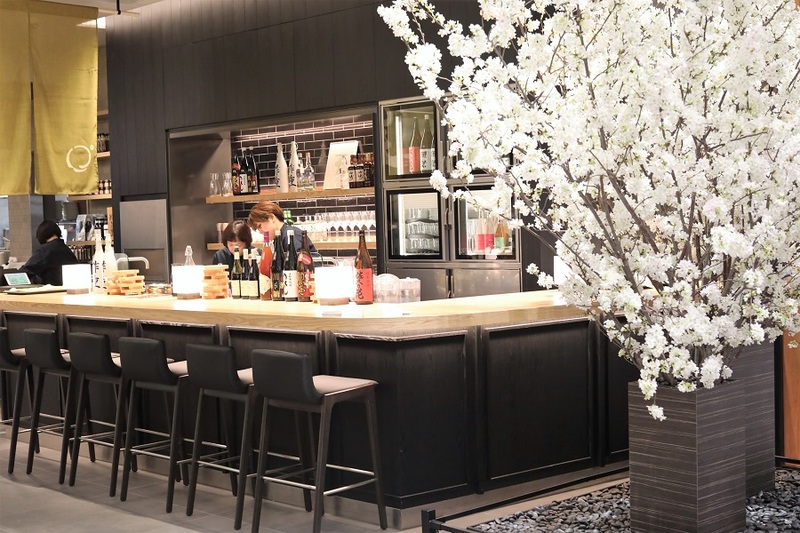 Its four-season concept menu is designed by Suju Masayuki Restaurant. The restaurant has a rich history of more than 200 years, and provides diners with a variety of dishes using traditional Japanese condiments. What is noteworthy is, the menu is seasonal and changes throughout the year, reflecting the best of the season. More than 50 original menus are planned out for the whole year. Japanese culture is also evident in the details. 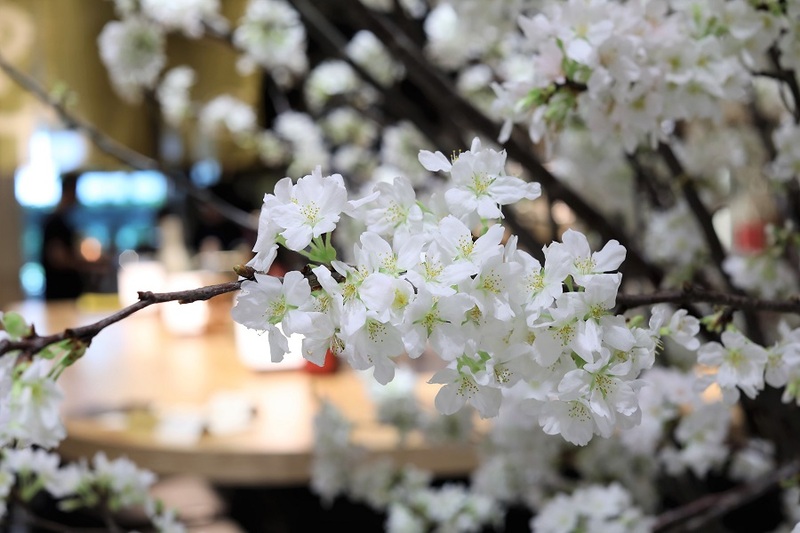 Real Sakura flowers decor to match the season in Japan. Tableware made by crafters from various regions of Japan. 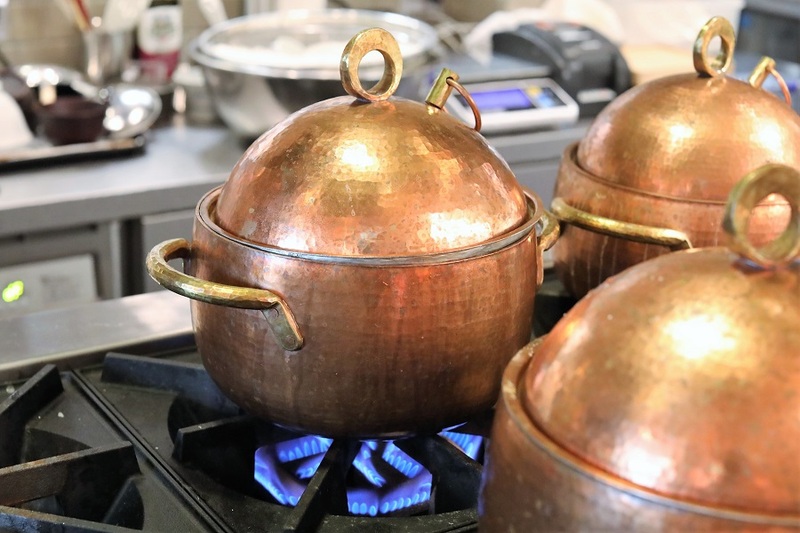 Even the humble white rice is cooked in “dounabe”, special custom-made copper pots handcrafted exclusively for Suju. 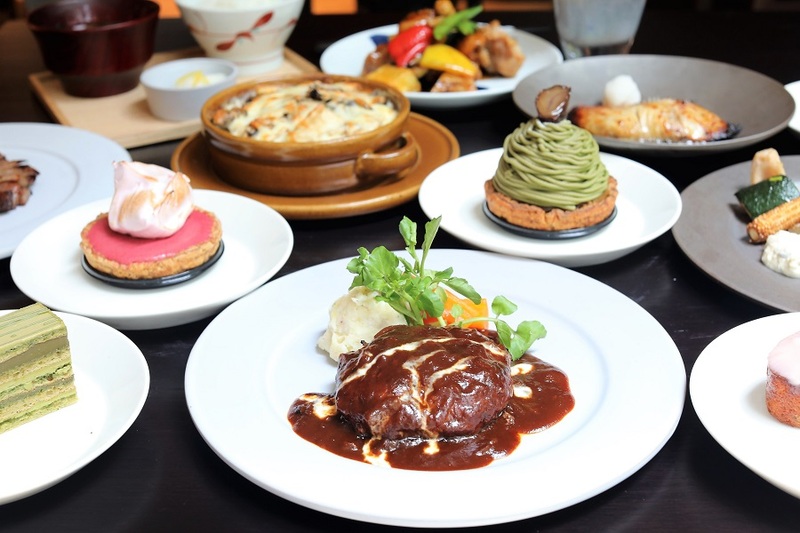 The menu highlights Yōshoku, a Western-influenced cuisine originated during the Meiji Revolution in Japan. 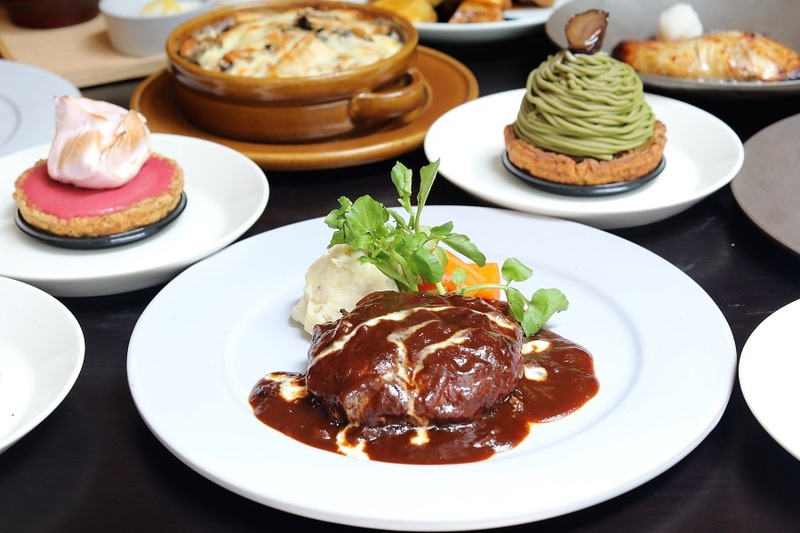 This line-up of Japanese-European dishes includes Chicken Doria and Hamburg Steak. 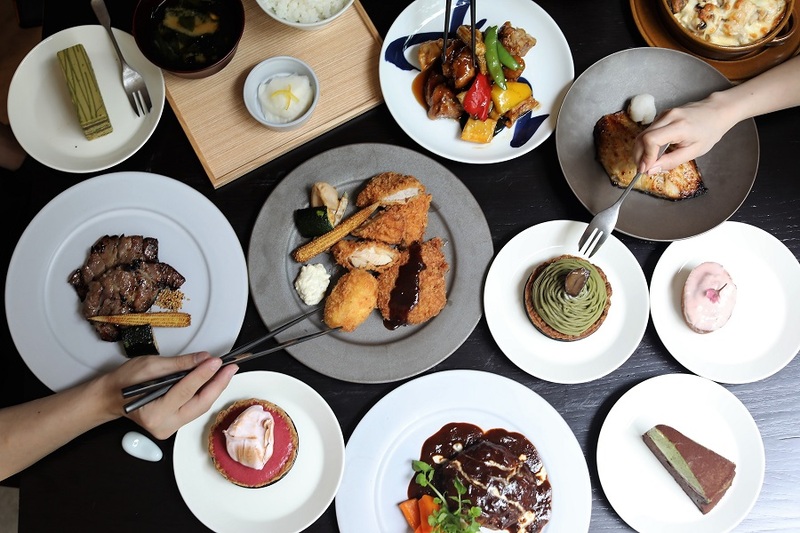 Adding more familiar items in the menu, JW360° includes standard Japanese food such as tempura, tonkatsu (assorted Japanese style meat cutlets), teishoku, bento, and donburi prepared with the Suju touch. 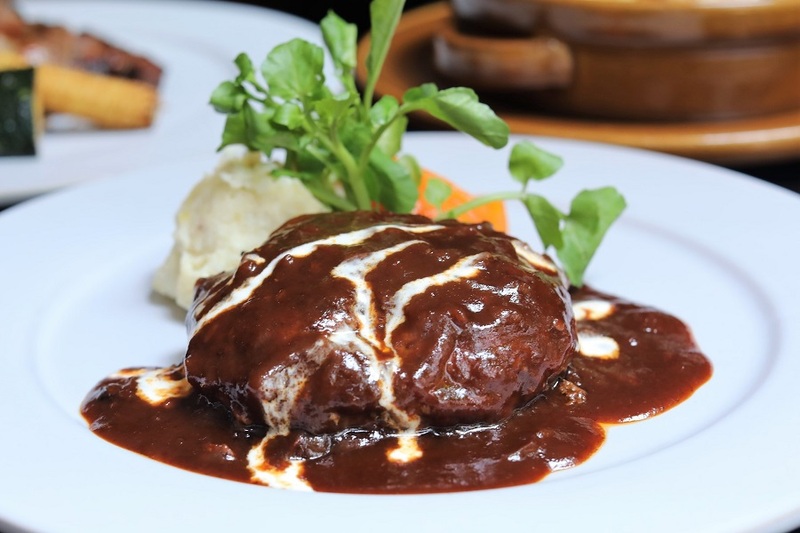 This popular Japanese steak is a minced beef patty, served with a special demi-glace sauce seasoned with soy sauce and 2 kinds of Japanese soybean paste. The patty was tender and juicy, located with flavours, with a unique Japanese element and makes a worthy signature dish. 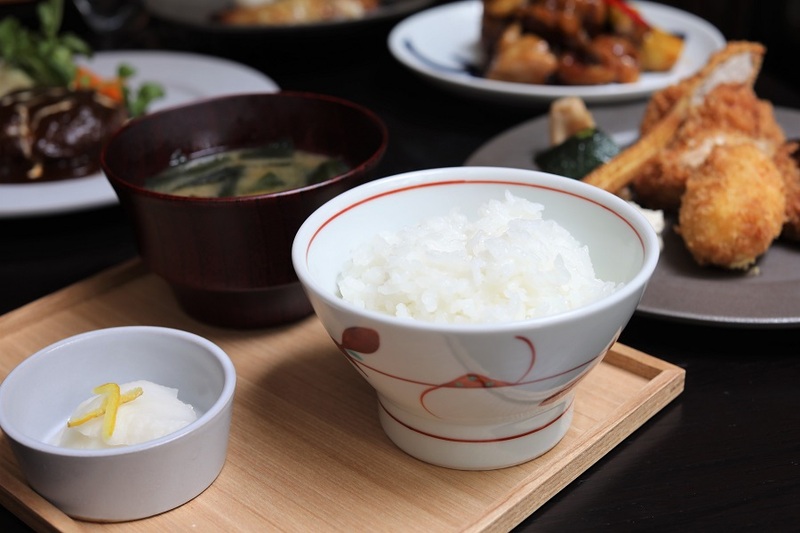 It comes with a gohan set on the side: a bowl of miso soup (using Suju’s originally blended miso), steamed Japanese white rice cooked in the hand-made copper pots, and pickles. 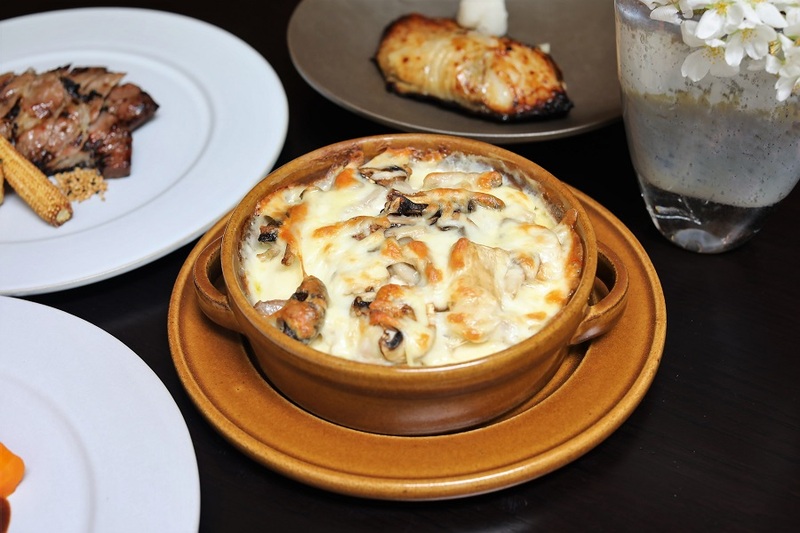 Another dish under Yōshoku is Chicken Doria. 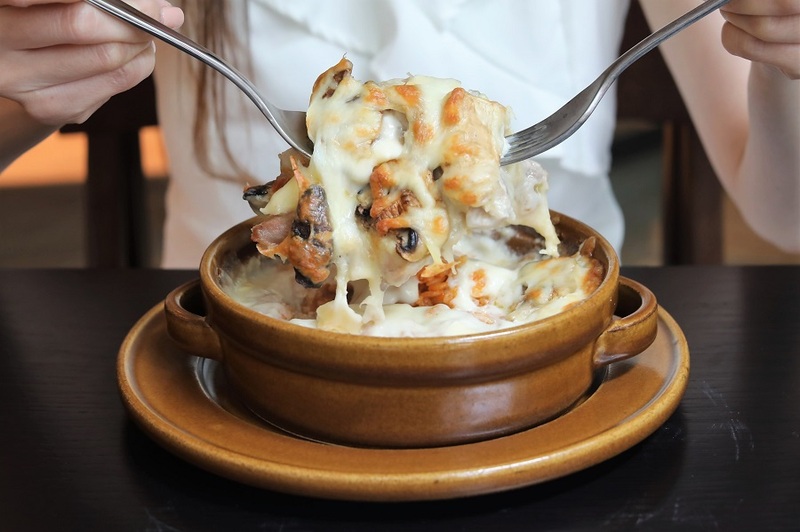 Doria is a popular Japanese Western-style rice casserole dish a la gratin. This version uses chunks of chicken meat, shellfish, cream sauce, and tomato-flavoured rice, reminiscent of the ketchup-tinged omurice. The white, creamy sauce, inspired by the French béchamel, is made with butter, flour, milk, salt and pepper. It is the cream sauce, plus loads of grated cheese, that creates the lovely, golden gratin once the casserole is placed under the broiler. While this may remind many of cheese baked rice, the fluffy Japanese rice which has light sweet-tangy flavours is a cut above the rest. 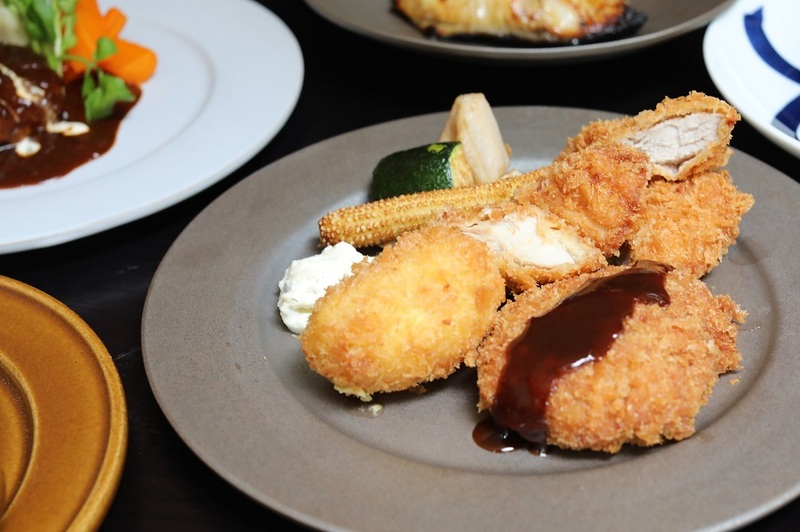 Consider this a sampler dish as you get 4 types of breaded deep-fried items in one dish. This comes with a combination of pork, chicken, pork & chicken, and shrimp croquette. 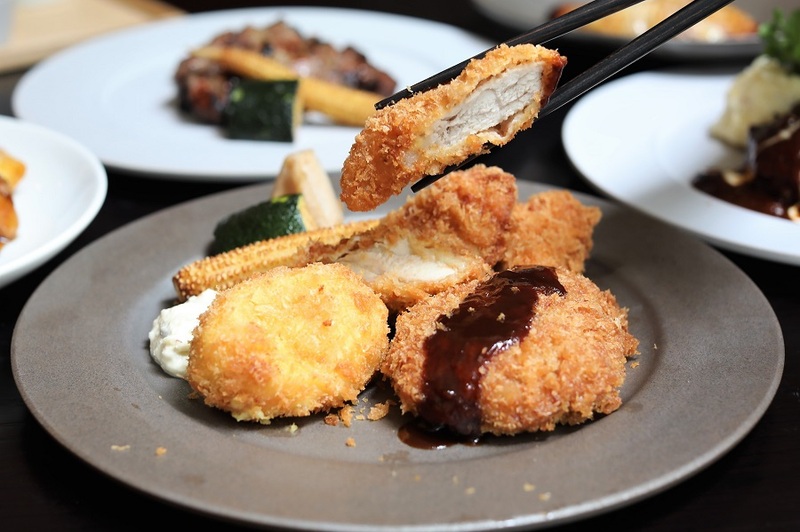 Katsu is the shortened form of katsuretsu, the transliteration of the English “cutlet”, and also a type of Yōshoku. The quality hallmark of these 4 items is the golden, crunchy exterior that coats each piece, a result of a properly executed breading and deep-frying process. Served with finely shredded cabbage and a thick tonkatsu sauce. My favourite was the shrimp croquette, crispy with a surprisingly melty-soft centre. 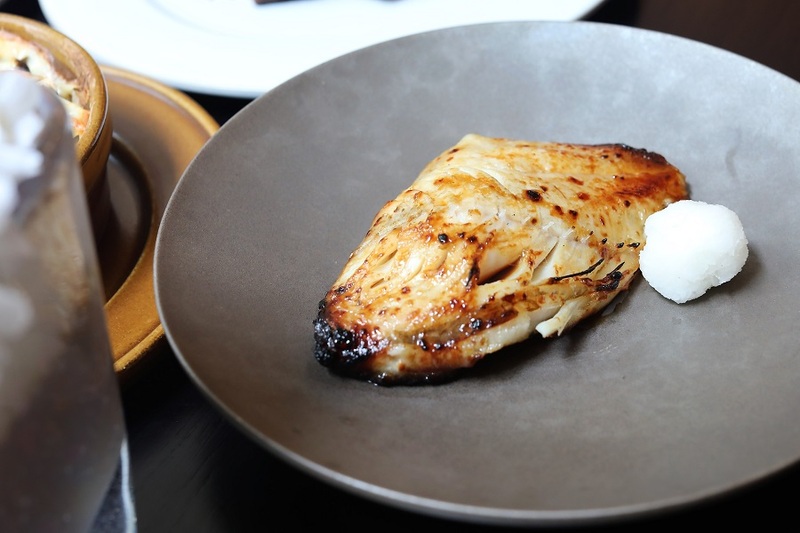 This Suju signature grilled dish features gindara (from the Japanese word gin which means “silver”), a black silvery fish of black cod. One of the expensive fishes in Japan, gindara is protein-rich and carries a good amount of healthy fats. 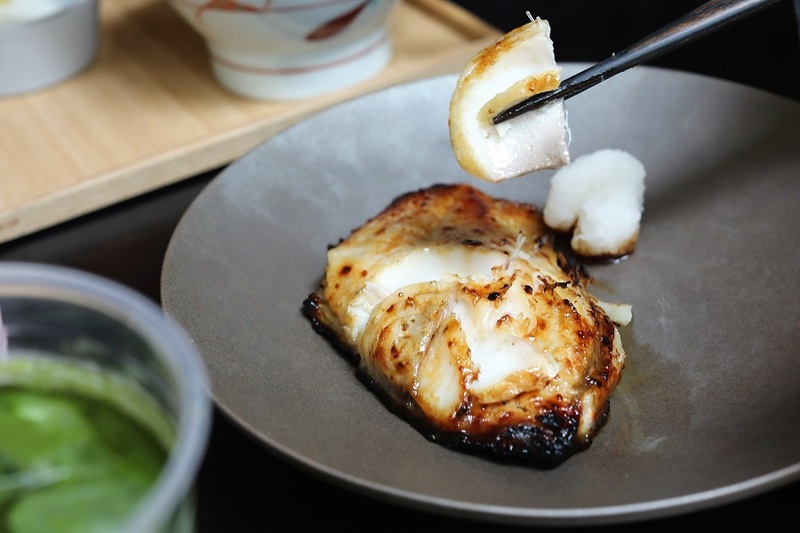 The thick-cut fish steak, prepared Misozuke-style, is pickled (zuke) in Japanese soybean paste (miso), then grilled over charcoals to enhance its tender texture and buttery flavour. The skin turns oily and crisp, a beautiful contrast to the soft flakes that simply dissolve in your tongue. Likewise prepared Misozuke-style, this dish uses premium Iberico pork instead of fish. 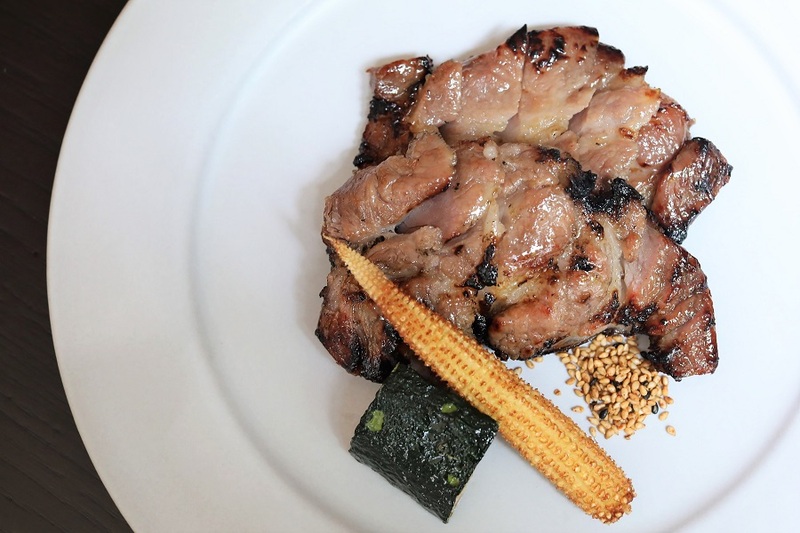 The pork is combined with Japanese soybean paste (miso) and pickled to infuse the miso’s flavour into the meat. Served with sesame pepper on the side. This adds a nutty, fermented taste without overpowering the distinct flavour of Iberico pork. 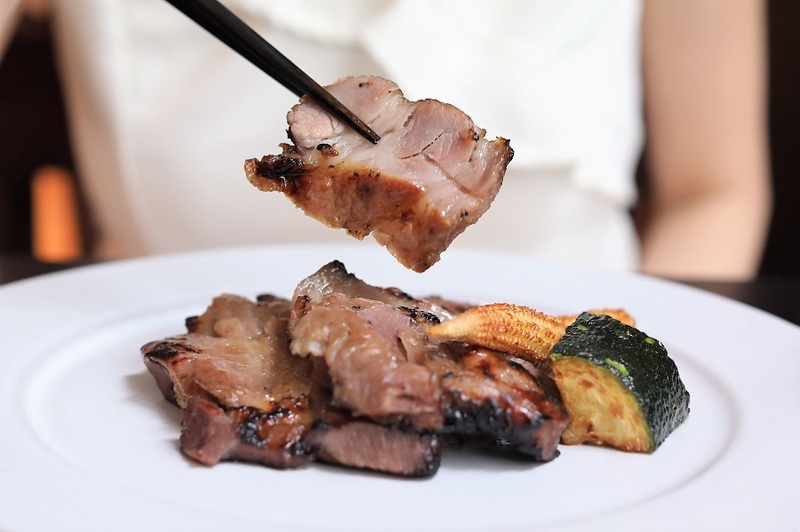 The marinated meat is grilled to further develop that charred aroma and taste. Lovely, tender texture. 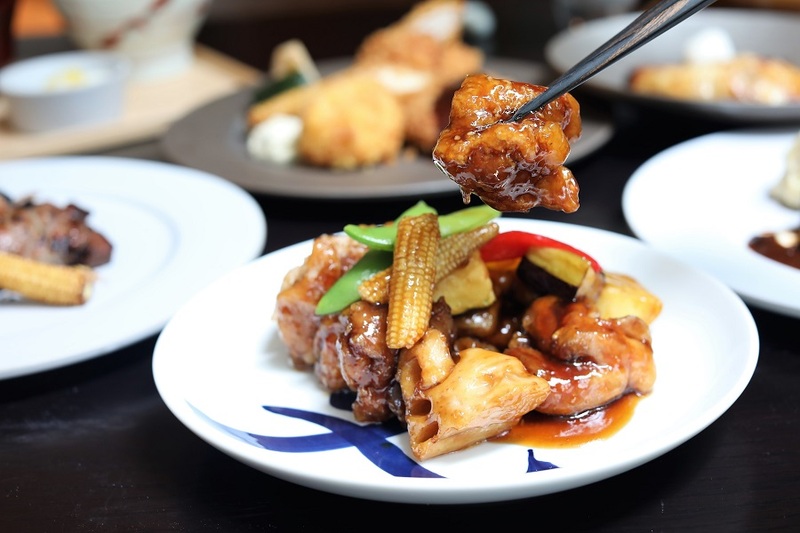 A signature main of Suju Restaurant, this poultry dish uses boneless cutlets of tori (chicken) momo (thigh) deep-fried to a mild crunch. 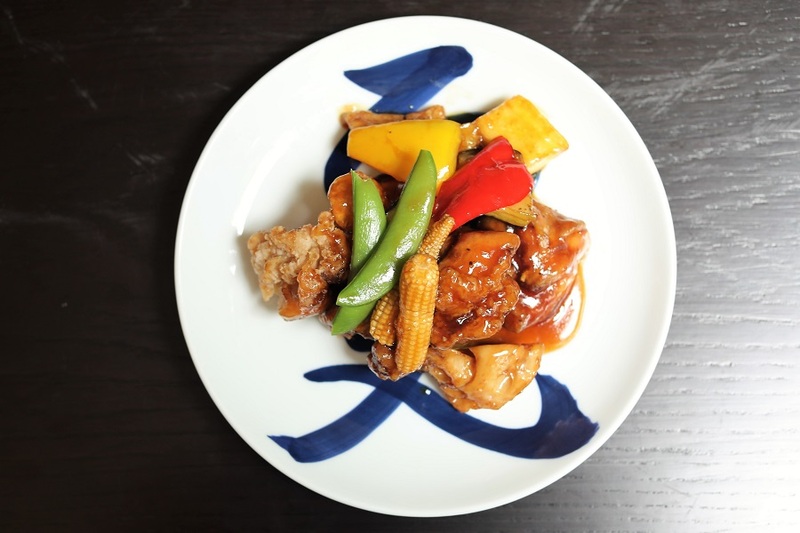 The fried meat is cooked itame-style (sautéed) with a medley of vegetables, including green beans, broccoli, young corn, and bell peppers, in a special Suju condiment kurozo. This fermented mix of rice, water and koji is aged for a few years in tsubo (black ceramic jars) until it becomes “black vinegar”. Tasting less acidic than traditional rice vinegar, kurozo is more concentrated and has an earthy flavour. This adds a tangy brown glaze to the dish. Moving on to the café component. 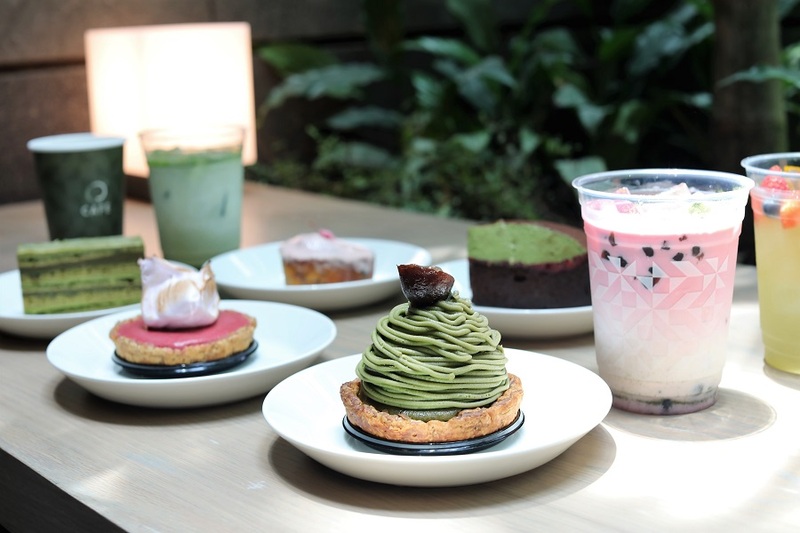 If you are a sweet tooth or just needing a tea break while walking around Jewel Changi Airport, the JW360° café corner is for you. 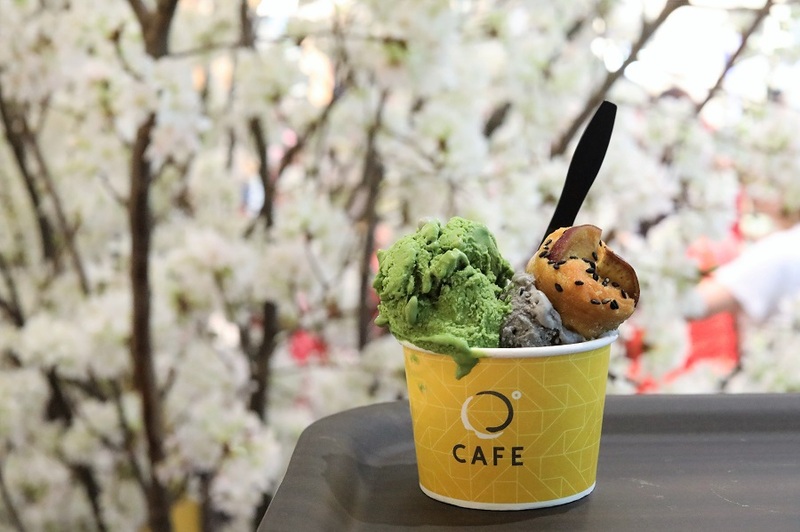 They have a range of cakes and gelato using Japanese ingredients like matcha, adzuki bean, and wasanbon, an expensive fine-grained Japanese sugar made from Shikoku sugarcane. The must-get is the Japanese Gelato ($7.50) with 2 flavours topped with sweet potato. 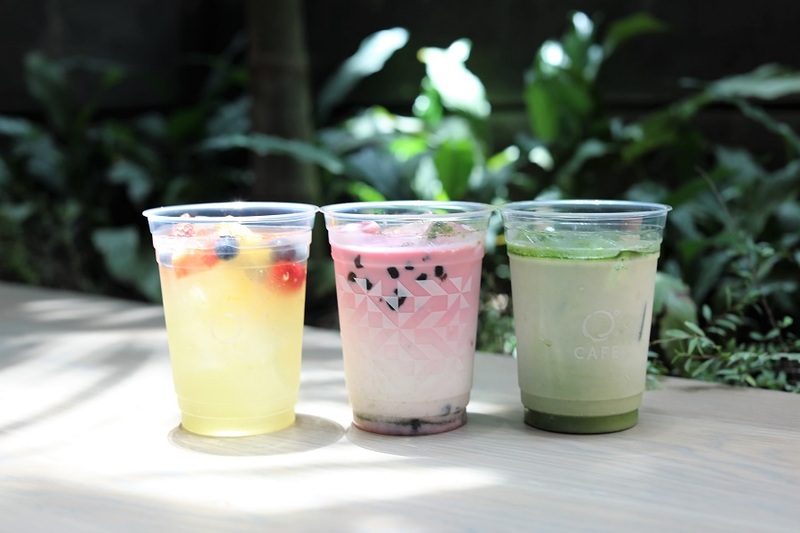 Flavours include Japanese Whiskey, Caramel Walnut, Soba-Cha (interesting), Matcha Milk, Sweet Potato, Hoji-cha and Black Sesame. The Goma I dare say with its rich and intense flavour, is possibly THE BEST black sesame gelato I had in Singapore. 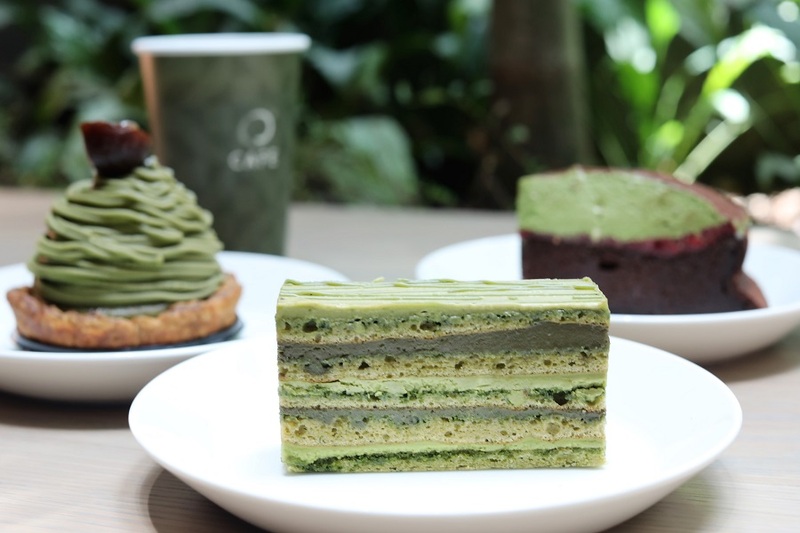 The picturesque Matcha Mont Blanc ($9.00) with Japanese chestnut paste is my personal favourite; while Matcha Mille Feuille ($9.00) with matcha butter, custard and sweet chestnut are both art-on-a-plate. Get them early before they are sold out. 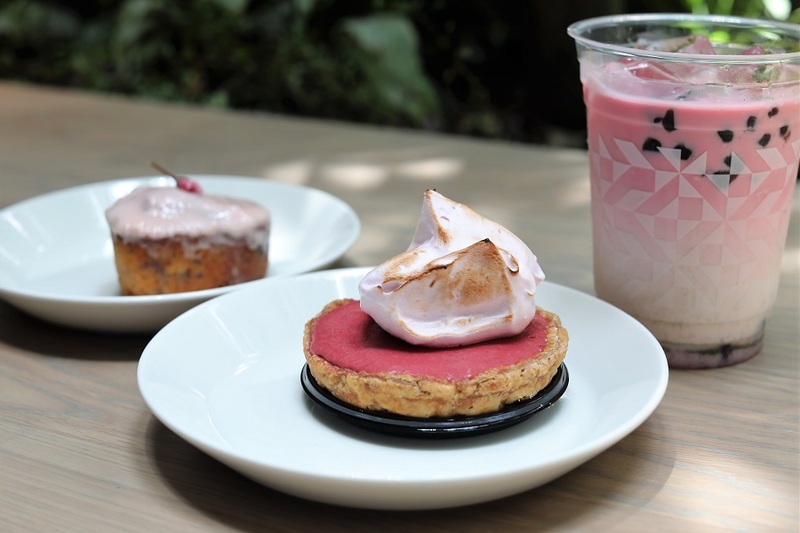 When you can, catch their seasonal specials like the Sakura & Cranberry Cake, Sakura Raspberry Pie, and Sakura Pearl Drink. How can we skip shopping? 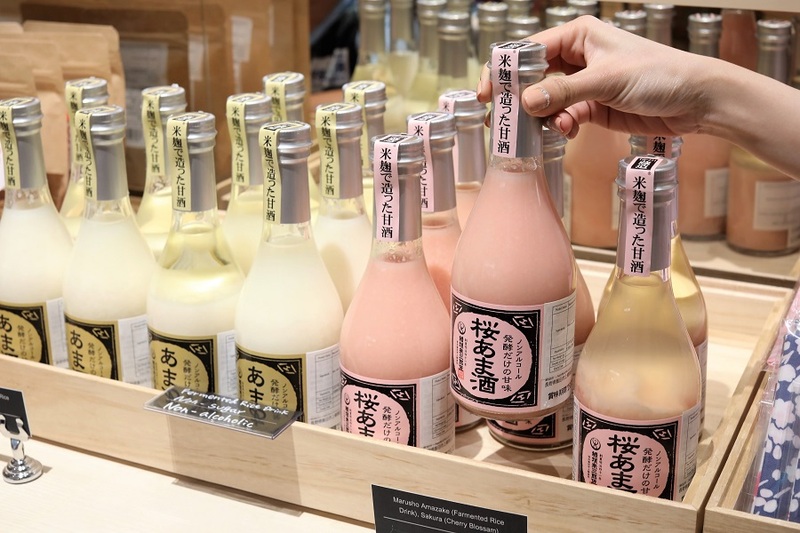 After a satisfying meal, check out the Nomono Retail Corner where they offer beautifully-packaged products and souvenirs from all over Japan. Nomono has three outlets in major stations in Tokyo, i.e. Akihabara, Ueno, and Tokyo stations, and the one in JW360° is the first in Singapore. 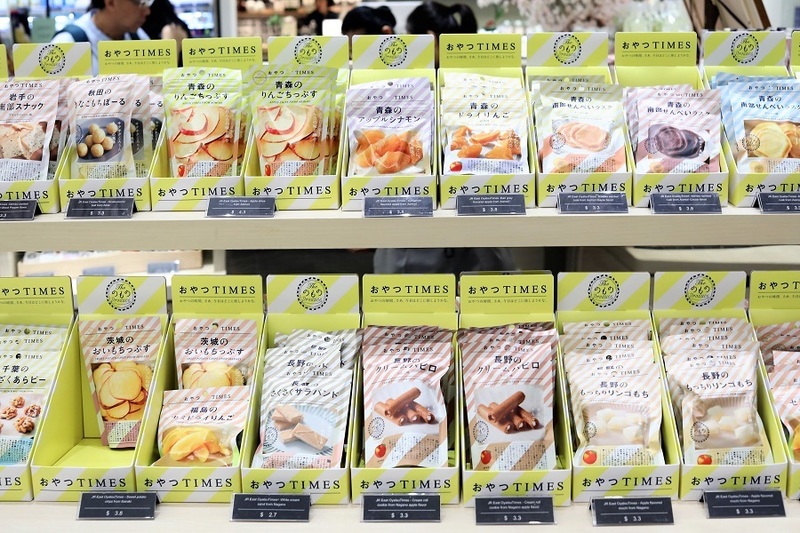 Enjoy your ‘Oyatsu Times’ (Japanese ‘snack-time’) with their range of Japanese sweets and snacks, popsicles and Japanese sake with creative and unique packaging. Rushing to board your plane? Grab a pack of their zesty Apple Chips, a healthy snack-on-the-go made with crisp, air-fried fresh apples. Another must-try snack is the “Hagi no Tsuki Custard Cream Cake”, a soft and fluffy sponge cake filled with custard cream. 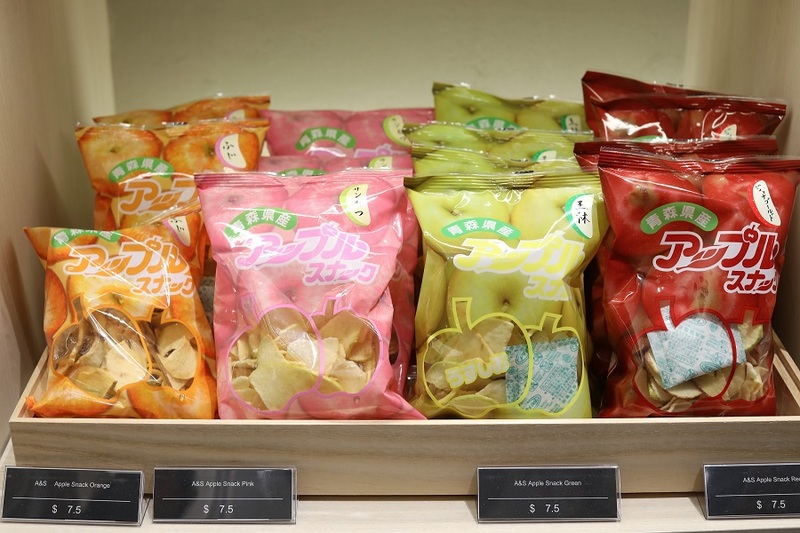 This signature snack originated from Sendai, one of the largest Tohoku regions in Japan. 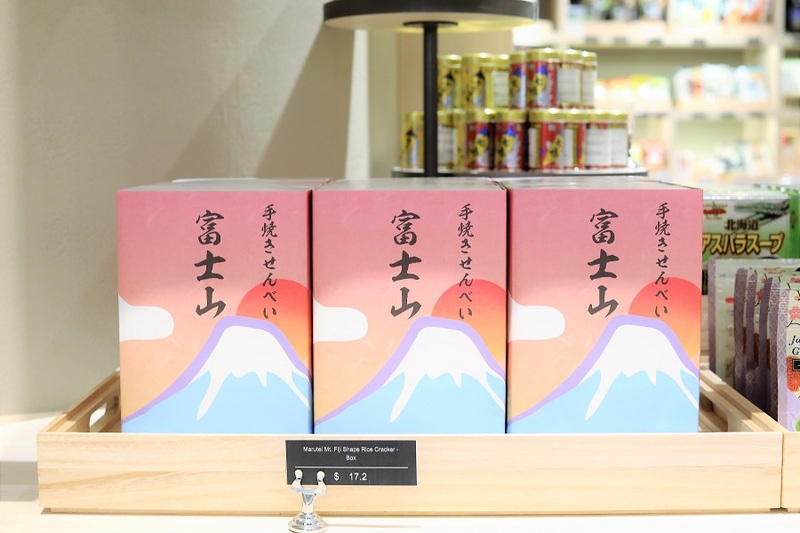 Lastly, nothing can be more Japanese than the “Mount Fuji Shape Rice Cracker Box”, an authentic hand-baked rice cracker shaped like Mount Fuji, Japan’s tallest peak. Comes in 4 flavours that represent the seasons – spring, summer, autumn and winter. * This entry is brought to you in partnership with JW360°. The ambiance are good and their dishes are delicious well prepared.